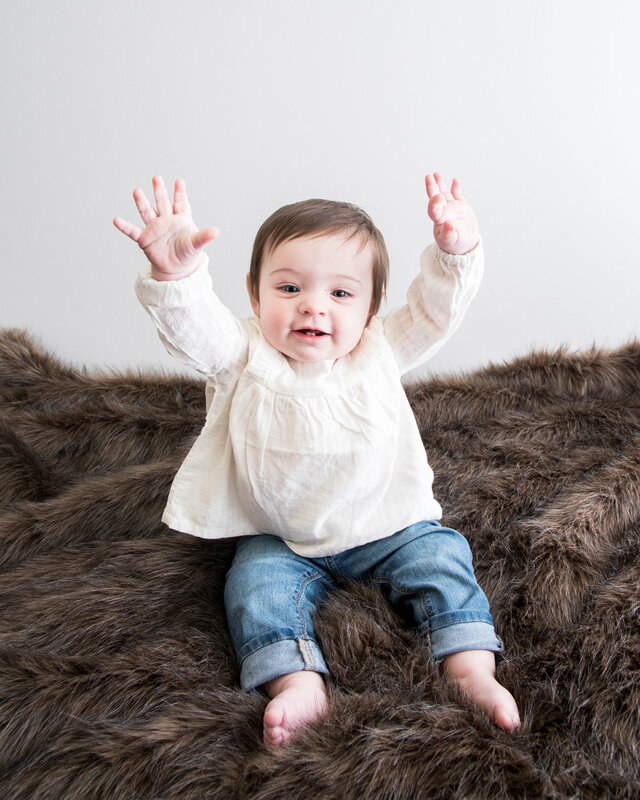 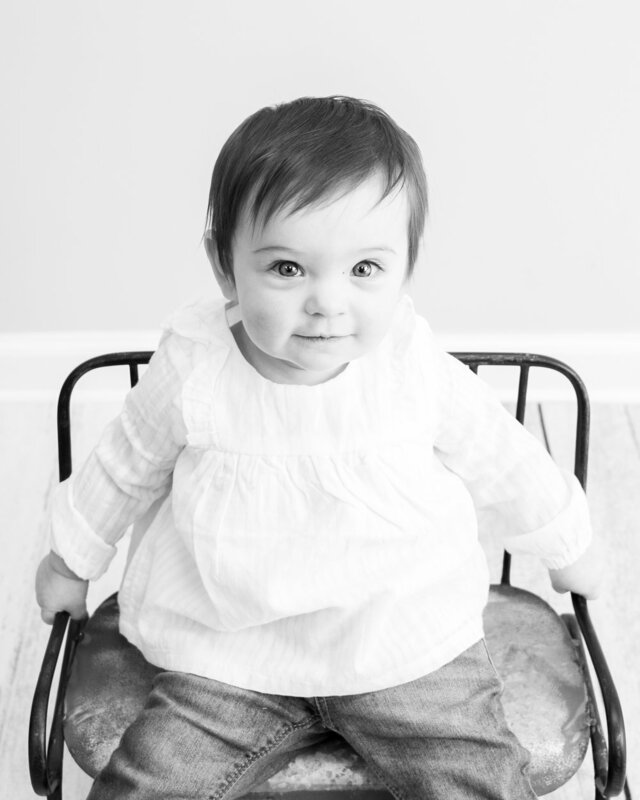 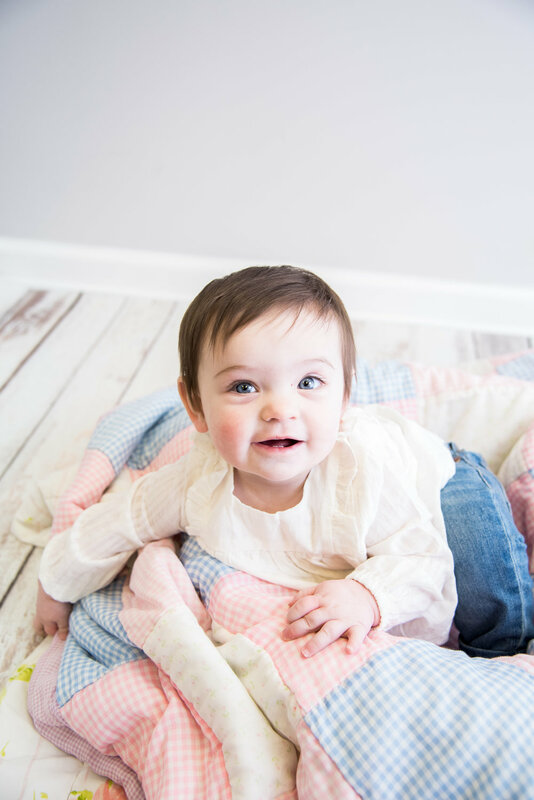 Maggie came in for her 9 month photos, and I fell in love with her dark hair and gorgeous eyes! 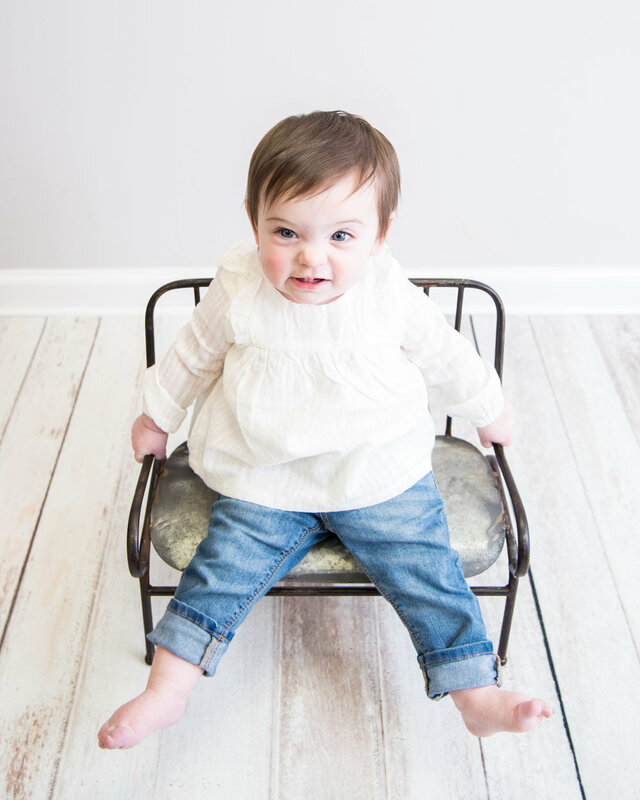 She was cracking me up with all of her adorable facial expressions. 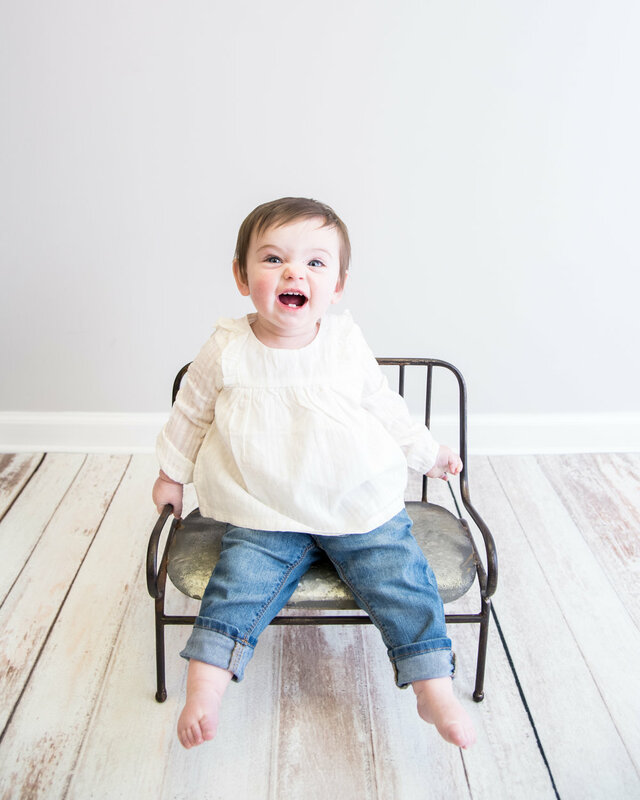 I can not wait to work with her again for her 1st Birthday party and watch her dig into her cake! 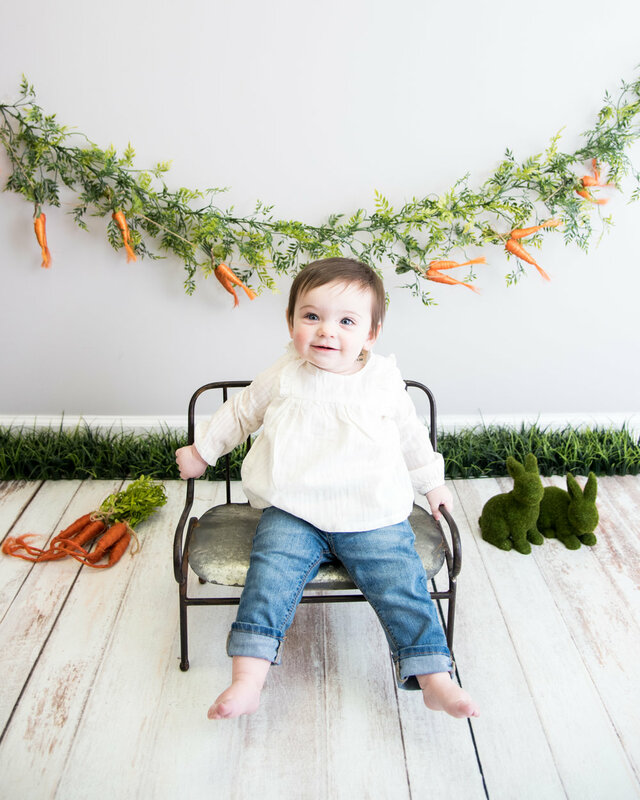 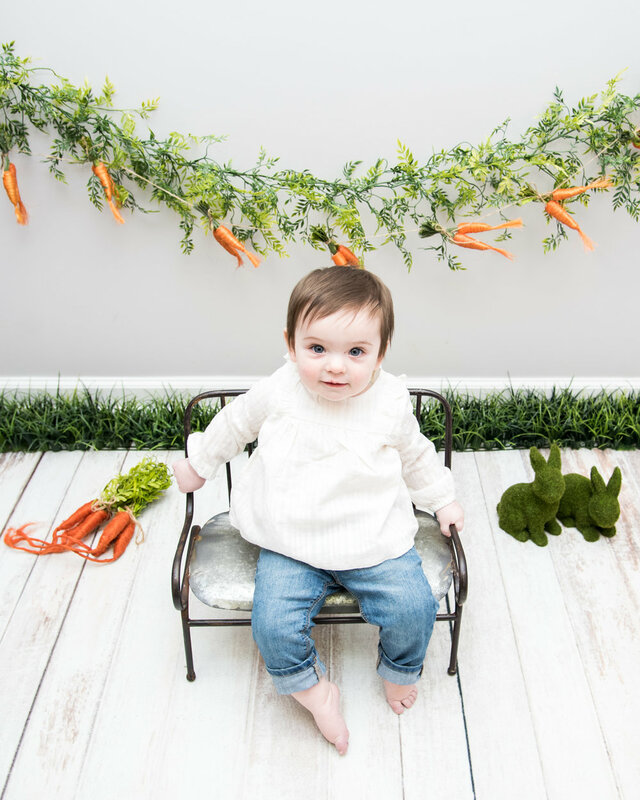 We even snuck a few Easter Photos into her session, she was the perfect little model!